What is a medication label? Before a new medication can be sold on the market, the law requires that the manufacturer prove to the Food and Drug Administration (FDA) that the medication is an effective and safe treatment for a particular medical condition. This is done through months, and sometimes years, of costly scientific research, known as clinical trials. When the FDA examines this research and decides that there is enough evidence to show that the medication is indeed effective and safe, that medication receives FDA approval. The FDA and the manufacturer then work together to create a medication label, which contains a specific set of instructions on how that medication should be used, as well as other important information. However, this does not mean that a medication can only be used in a way indicated on its label. In fact, over time, health care providers may find many other uses for a medication, well after it receives FDA approval. Because of the time and costs involved in getting FDA approval of a medication, health care providers are not restricted from prescribing medications in ways that differ from their labels. This is known as ‘off-label’ prescribing. 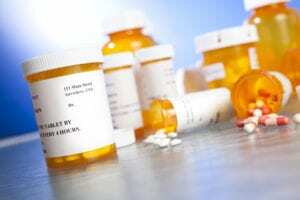 Why are medications prescribed ‘off-label’? It makes sense to think of a medication as one of many “tools” available to your health care provider when treating you. However, these “tools” in your health care provider’s “toolbox” are only useful when chosen carefully by someone with years of experience. When you are prescribed a medication, your health care provider has used his or her best judgment, based on years of experience and/or education about medical treatments. The ultimate goal is to select the most appropriate “tool” that is likely to be the most beneficial to you. Nothing can replace the good judgment of your health care provider; judgment and experience make up the ‘art’ of medicine. When a health care provider prescribes a medication in an ‘off-label’ way, it simply means that the medication is prescribed in a way that’s different from its FDA-approved label. The ability to prescribe a medication in different ways that have been discovered to be effective, increases the usefulness of the “tools” available to your health care provider, so that you can receive the best treatment possible. A good example of how medications can be useful when prescribed in an ‘off-label’ way, is the treatment of a painful condition called trigeminal neuralgia, which is a common type of facial pain. You may be surprised to learn that this condition is often treated with medications that were originally approved by the FDA as antidepressants or anti-seizure medications. It turns out that through years of experience, health care providers noticed that patients who had depression and trigeminal neuralgia, or seizure disorders and trigeminal neuralgia, experienced pain relief when they were treated with medications for their depression or their seizure disorders. Over time, it became clear that in certain situations, these medications were very effective pain relievers. In other words, medications originally approved for treating non-painful conditions, also became valuable tools for treating pain. Thus, health care providers began prescribing these medications ‘off-label’ to relieve pain, a condition for which they were not originally approved by the FDA. A medication approved by the FDA to treat a certain kind of cancer is used to treat a different kind of cancer, because health care providers found that it happened to be the most effective treatment currently available. You have bad headaches, and your health care provider tells you that he or she will try a blood-pressure medication to help treat the headaches. You have a very severe infection. Your health care provider prescribes a course of antibiotics that is longer than indicated on the medication label, based on experience he or she has had treating other patients with this kind of infection. Many medications given to children are often considered ‘off-label’ because they have only been tested on adults, due to the limitations of conducting research with children. These situations all have one big thing in common: a health care provider used his or her best judgment to prescribe a medication in a way that is likely to be the most beneficial to the patient. The ability for a health care provider to prescribe medications ‘off-label’ is just one of the ways that allows this to be possible. In fact, it is not surprising to learn that up to one out of five of all medications prescribed, are prescribed ‘off-label’. As a patient, the most important thing to keep in mind is to trust that your health care provider will make treatment decisions that most benefit you, and only you. Good medical care is not a ‘one-size-fits-all’ approach; rather, it is an art that requires careful decisions based on your health care provider’s best judgment.